Normally we reset the world once a year in January, but since 1.7 will be doing a lot of changes to the main world the question becomes wether we should reset it or wait? All items and one premade house that store those items. All claims blocks before and after all claims are deleted, the premade house will be claimed in the users name. Any animals they choose to keep, replacesments will be made on the new server. A limited number of player made structures. All unsaved structures except the premade house. All claims except the premade one. 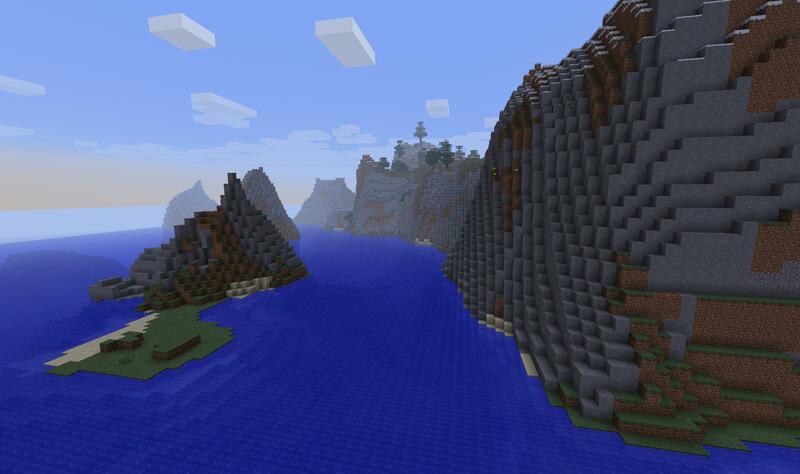 mojang has released a official statement about the upcomming biome changes, it is awsome so read it! Lets do it. Always nice to start fresh now and then. 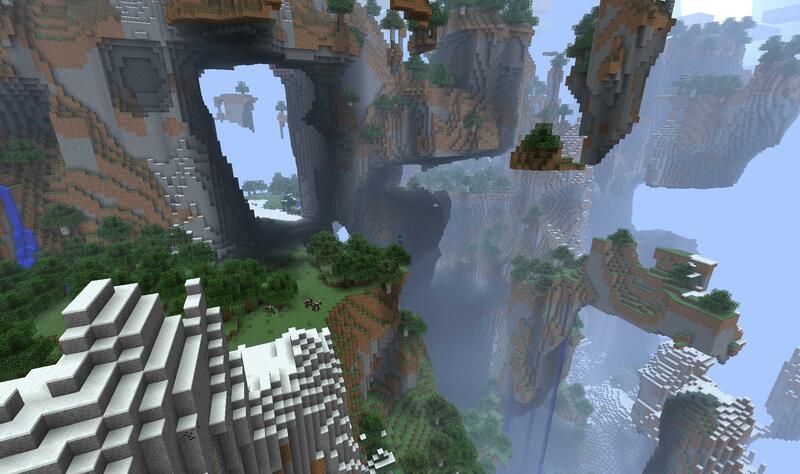 Also Killje, is that a sky island biome?! What I'm curious about is the last picture. Is that hardened clay? Or maybe a new block? i think it is a new block, new blocks are always cool! cant wait for the first snapshot to come out! Notice the yellow at the bottom right. You don't need Silk Touch, you can craft clay blocks out of clay balls. Hardened (and stained) clay however, require you to smelt the clay blocs, costing coal/fuel. So making hardened clay naturally available in such great quantities seems a bit, idunno, unbalanced IMO. Then again, it might just be a placeholder. I guess we will need to wait until the snapshots and see what it is they are really doing. true you need some extra resources, but i got more the 5 stacks of coal blocks and it isnt hard to find some more, you can compare it to sand sometimes it is easyer to get some out of a lake but there is also a biome for it. and the thing with silk touch is that you dont need to convert it. It looks like the guys at Mojang where not sitting on there buts this summer. hit the button below for the stuff the community already found in the new snapshot. 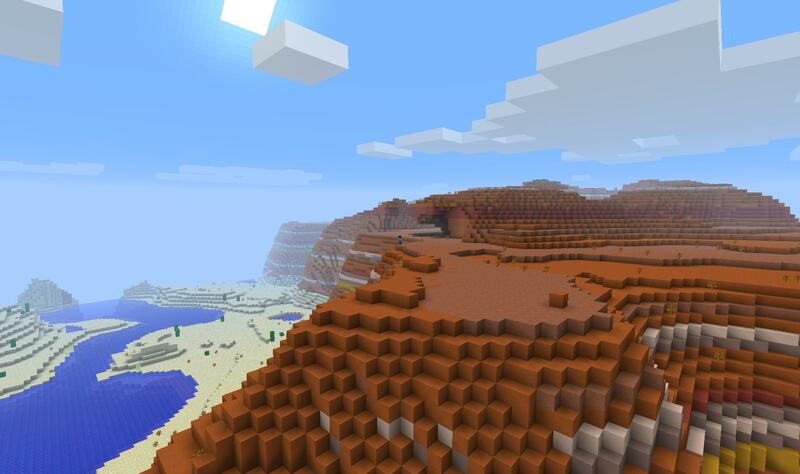 Clay Canyon (also known as Mesa) biome, jokingly referred to as "Disco Mountains". Composed of multiple colored hardened clay. Dead bushes spawn in this biome. 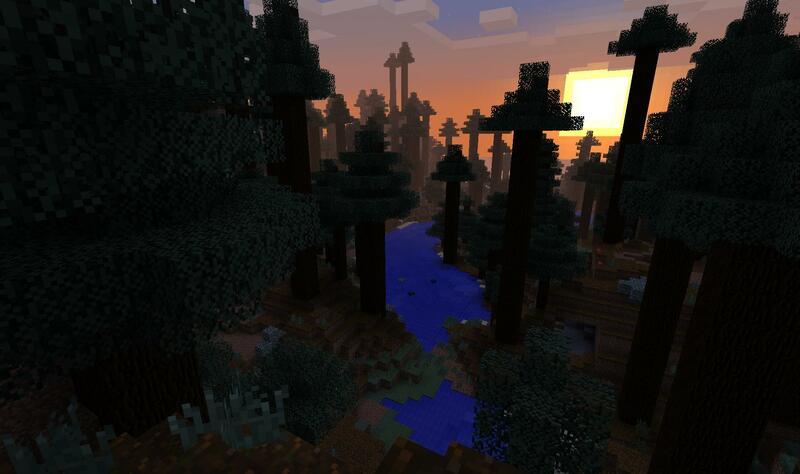 Redwood Forest (coded as Mega-Taiga) biome. Will have a grass block variant known as Podzol. They have a data value of 1. Only obtainable with /give because there is no visual difference. Like Steep hills, not completely vertical. Has extremely dense trees and leaves; dark and dangerous under the canopy even during the day. Oceans are smaller and take up much less of the map. Biomes have been put into four main categories. Biomes will attempt to avoid getting placed next to a biome that is too different to itself. Most biomes have uncommon/rare variations. Snow may now generate depending on Y level, with noise variation. Can now find other items other than fish by fishing, including enchanted fishing rods, damaged fishing rods, name tags, Lilypads, saddles, Rotten flesh, Leather, or damaged boots. Up to 15 different items can be caught including new fish types (Salmon, Clownfish, and Pufferfish). There are 3 piles of rewards: treasure, junk and fish. New enchantments that change your luck when fishing. Will poison you, give you nausea, and give you hunger if eaten. Will be used to brew a water breathing potion. New fish type called Raw Salmon. Can be cooked and eaten. New fish type called Clownfish. Bubbles will show up near your bobber just before you have something on your hook. Falling now has particle effects. Redoing the achievements and statistics system. Can now use statistics to create objectives; anything that statistics can track can be used as an objective (can also track achievements). This is the reason why statistics/achievements were changed to be stored per world/server. It can also give enchanted items. The /time set day command now sets the time to 1000 instead of 0. Possibly Cherry Trees added by Patrick Geuder. They vary "seasonally" by having leaf blocks change color every fourth day for three minutes. Red, Orange, White and Pink Tulips. Will display the name of the item they hold (if it is custom named) when looked at up close. Sugar Cane texture changed slightly, also changes depending on biome. Resource packs at the top take precedence over those below. Night Vision Potion effect blinks before running out. Torch bugs in strongholds and mineshafts have been fixed. Rewrite of several option screens. A completely new options menu. A new "Select Resource Pack" menu. Function and sprint keys can be changed. Smooth mouse, formerly available by pressing F8, will now use F4 by default. The volume of in game music, Jukebox and Note Block music, hostile mobs, passive mobs, players, weather, blocks/environment, and the master volume can now all be modified separately. 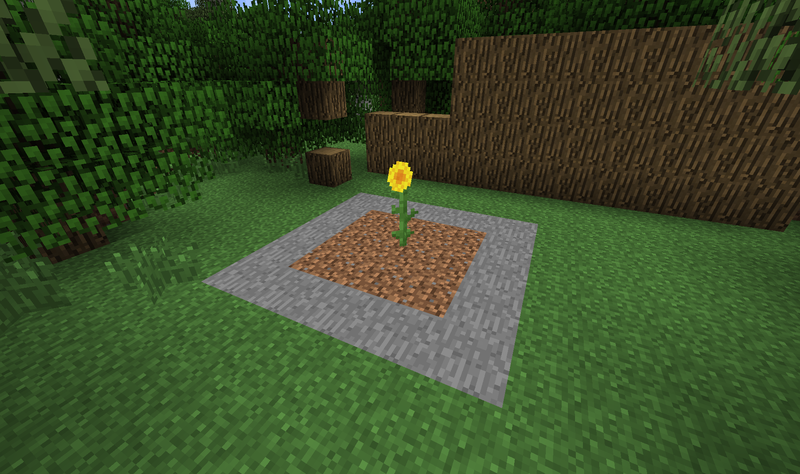 Changed the display item for the Decoration Blocks tab in the Creative mode inventory from the Rose to the new Peony flower. again i can't say when the server will be updating we will first wait untill the full release comes out and bukkit updates to a stable build.